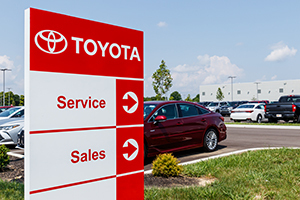 The firm is currently litigating a putative class action concerning the projector-beam headlights on 2016 Toyota Rav 4 vehicles. Toyota’s brochures provided that 2016 Rav 4 XLE and XLE Hybrid models were equipped with halogen projector-beam headlights with an “auto on/off feature,” and that 2016 Rav 4 SE models were equipped with LED projector-beam headlights with an “auto on/off feature.” The “auto on/off feature” is a mechanism by which the vehicles’ headlights automatically turn on and off and adjust to ensure proper lighting while being driving through changing light conditions (e.g. tunnel, dusk, etc.). This suit asserts that standard 2016 Rav 4 XLE, XLE Hybrid, and SE models, in fact, did not come equipped with the “auto on/off feature.” The suit seeks coverage for the remedial work necessary to correct and install the missing “auto on/off” feature as well as other damages. If you have purchased a Rav 4 and wish to speak with the attorney at the firm about this matter, please contact class action attorney Gary S. Graifman, Esq., Kantrowitz, Goldhamer & Graifman, P.C., 747 Chestnut Ridge Road – Suite 200, Chestnut Ridge, NY 10977 via telephone: (888) 608-9232, fax: (845) 356-4335, or email: ggraifman@kgglaw.com. New York and New Jersey estate lawyer Paul Goldhamer, Esq. is a founding partner of Kantrowitz, Goldhamer & Graifman in Rockland County and Bergen County. Mr. Goldhamer is proud to have been honored as a “Super Lawyer” by the legal site Superlawyers.com. When not practicing family and matrimonial law, Paul keeps busy with charitable efforts, lectures, public talks and appearances on radio and television programs. The Federal Tax Estate rate ranges from 11% to 40%. The estate tax rate in New York ranges from 3.06% to 16%. $0 for spouse, children, grandchildren & charities. Most others – no exemption. All of the above are subject to change. At KGG, we plan estates of all sizes, prepare Wills, Trusts, Powers of Attorneys, Healthcare proxies & help with Eldercare planning. 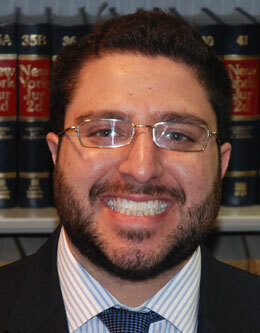 Brandon Rothstein, Esq. from Kantrowitz, Goldhamer and Graifman has been recognized for exceptional legal care. All year, lawyers at Kantrowitz, Goldhamer and Graifman go above and beyond to provide clients with exceptional legal care. This service has been recognized and appreciated by their clients this year with the coveted title of 2018 Hudson Valley Parent Favorite Lawyer. The lawyers at Kantrowitz, Goldhamer and Graifman, PC strive each day to provide expert advice, representation and care. Their clients nominated and reviewed their services to Hudson Valley Parent to help create a guide of the best of the best in the Hudson Valley’s only Family Law Guide. All year, those who visit LawGuide.HVParent.com can read reviews about superior legal professionals that other parents love. 2019 Favorite Lawyer nominations are coming this spring! 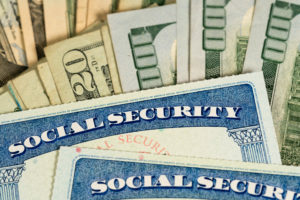 How Will Divorce Impact My Social Security Benefits? Social Security can be an important benefit for older people because it supplies income once one has retired. In general, people become eligible at the age of 62, although benefits taken then are lower than they will be at full retirement age (FRA). FRA is reached between 65 and 67, depending on the year of their birth. (For people born between 1943 and 1954, for example, the FRA is 66.) The Social Security benefit amount rises roughly 8% per year if you work and contribute longer, up to the age of 70. There is no increase past the age of 70. Will a divorce impact your Social Security benefits? Yes, there are multiple impacts, depending on your situation. Length of the marriage, whether you have worked, how much you made vis-à-vis your spouse, and remarriage are all factors that can affect your benefits. In general, the higher-earning spouse is eligible for a higher benefit, as Social Security benefits are on a sliding scale based on one’s earnings. If you are divorced, you may be able to collect Social Security benefits based on the work record of a higher-earning spouse, provided that you 1) are not currently married; 2) were married to the spouse for a minimum of 10 years; 3) both of you are at least 62 years old; 4) they are eligible for Social Security; and 5) you have been divorced for a minimum of two years. The spouse doesn’t have to have taken Social Security for you to be eligible. If your spouse has remarried, there is no effect on your Social Security benefit rights, or that of the spouse and their new spouse. Bear in mind that you may receive only half of your divorced spouse’s Social Security benefit if you take benefits before your FRA. If you are eligible for a higher benefit, you will receive your own Social Security benefit rather than your spouse’s. No one can receive both their own Social Security benefit payments and that of a spouse. You will automatically receive the higher of the benefits. If you have remarried since you divorced, you are not eligible for a divorced spouse’s benefit unless your remarriage ends as well. If it does, and both marriages lasted over a decade, you will can receive the larger of the two ex-spouse’s Social Security benefit. If your divorced spouse dies, you are eligible for survivor benefits as long as your marriage lasted 10 years. If it did not, you are not eligible for survivor benefits. Survivor benefits are equal to what your ex-spouse would have received had they lived. If you marry again before the age of 60, you will lose your eligibility unless that marriage ends. Remarriage after you’re 60 has no effect on survivor benefits. Because all these factors are complex and variable, it is a good idea to consult a lawyer to make sure you know what Social Security benefits you are entitled to. At Kantrowitz, Goldhamer & Graifman, divorce lawyers have been helping clients in New York and New Jersey for over four decades. Call us today to schedule a consultation. Miller, Jim T. How Divorce Can Affect Your Social Security. Huffington Post. January 23, 2014. https://www.huffingtonpost.com/jim-t-miller/how-divorce-can-affect-yo_b_4251411.html. Thornton, Russ. How Divorced Women Can Get More From Social Security. Wealthcare for Women. December 4, 2012. https://wealthcareforwomen.com/divorced-women-social-security/. Nationwide, more than 800,000 people per year are injured severely enough to be hospitalized by slip and fall accidents. Twenty percent of these are due to injuries to the head or a broken hip. Tragically, deaths from falls have increased 30% in recent years. If you or a loved one has slipped or fallen and injured yourself on a landowner’s property in New Jersey, you may be injured. You may be wondering if you can bring a legal case against the landowner. What is the liability of a landowner in New Jersey if you slip, fall, and injure yourself on the landowner’s property? Could you bring a case? For a landowner to be liable in New Jersey, several things must be true. First, the landowner must own the property on which you slipped and fell. If you fell on adjacent property owned by someone else, you could not sue the property owner of an adjacent property. Second, the landowner must have a duty of care to keep the property safe, so that either invited people or people doing business on the landowner’s property do not slip due to unsafe conditions. The classic example of this is a store owner who owns the store. If a carton of milk is spilled on the floor, the landowner must clean up the spill and make the floor safe again. The landowner must have known that there was an unsafe situation as well, or had sufficient time and opportunity to know. 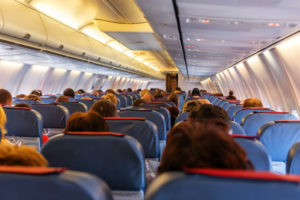 Plus, the landowner with the duty of care must also have had what a reasonable person would consider a reasonable amount of time to make the area safe again. If you slip on un-shoveled snow on a homeowner’s driveway and fall, for example, during the middle of a snowstorm, a court may find that the landowner did not have a reasonable time or opportunity to make the driveway safe, as snow was still coming down. You must have had access to the landowner’s property, either because you had business at a place of business or because you were invited in. Note that if you are trespassing on a landowner’s property, or have entered illegally, there is no duty of care under New Jersey law. In fact, you are classified as a trespasser. The only legal requirement a landowner has is to avoid explicitly harming you if you have no intent to commit a crime. You should know, too, that New Jersey slip and fall cases operate under comparative negligence. That means any financial compensation you receive in court can be reduced by the percentage that the court finds you liable for your own slip and fall. Defendants in a slip and fall therefore often argue that the injured party was responsible. They may claim that the dangerous area was marked as such, with signs or with tape blocking the area off. They may argue that the danger should have been obvious to you, so proceeding was your responsibility. They can also argue that you were not paying attention to your surroundings or that your shoes caused you to slip – or at least did not prevent a slip. The seasoned attorneys at Kantrowitz, Goldhamer & Graifman have four decades of experience in slip and fall cases in New Jersey. We will fight for fair and just compensation for our clients. For a complimentary case review with a NJ slip and fall lawyer, call us today toll free! U.S. Centers for Disease Control and Prevention. Important Facts About Fall. https://www.cdc.gov/homeandrecreationalsafety/falls/adultfalls.html. U.S. Centers for Disease Control and Prevention. Older Adults Fall. https://www.cdc.gov/homeandrecreationalsafety/falls/index.html. Rockland County & Bergen County divorce lawyer Paul Goldhamer, Esq. is a co-founding partner at Kantrowitz, Goldhamer & Graifman. When not practicing family law in NY & NJ, Mr. Goldhamer maintains a busy schedule with supporting charities, giving lectures, and appearing on radio & TV. Paul was named a “Super Lawyer” by Superlawyers.com in 2014. If you have a towing benefit from your credit card company, it usually is limited to a 10 mile tow. If you are off road by more than 10 feet (not from skidding) most credit card companies will not cover any portion of the tow. If you call for a tow truck, most tows are covered by your automobile insurance policy. If a tow company uses their winch to pull you out, the charge will be higher. The reimbursement from your insurance company will also be higher as a result of the fact that the tow truck needed to use a winch. But you must tell them; make sure it is written on the tow bill. Holiday Shopping Slip and Fall: Can I Sue? For many people, shopping at the local mall or at a craft gathering is one of the highlights of the holiday season. Bells ring. Holiday music plays. Everything is festive. It’s a chance to think about how to delight your family and loved ones. Unfortunately, it’s also a chance to slip and fall. 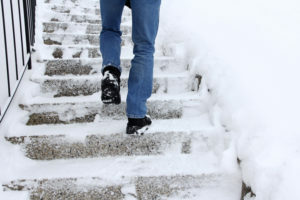 While people can slip and fall at any time, winter weather is particularly conducive to it. Floors become wet and slippery because people are tracking in rain, snow, and ice. Umbrellas and scarves are being shaken, which can also cause water, snow, and ice to fall on floors and other surfaces. People may drop small objects, like candy or small products, on the floor, which can be slipped on. There are many more people, which exacerbates all potential dangers. Finally, store and mall employees, who are normally supposed to keep floors mopped, clean, and clear, may be pulled in a thousand different directions by people asking about products or waiting to be rung up for a sale. Employees may be seasonal and not fully trained. Slipping and falling in a store during the holiday season can be very dangerous. According to the U.S. Centers for Disease Control and Prevention, 20% of falls cause a serious injury, such as a head trauma or a broken bone. Head injuries, of course, can also cause concussions, which can be life-threatening. A store, of course, is not the only place you can slip and fall. Parking lots of stores and malls can be very icy, snowy, and very dangerous. So if you do slip and fall during holiday shopping, can you sue? For a defendant to be liable for an injury someone sustains during a slip and fall injury, three things must be true. First, the person or entity sued must be responsible for the space in which you slip and fall. It’s called having a duty of care. A store and mall owner and manager do have a duty of care to keep their premises safe and cleared of anything which could cause someone to slip and fall. But if all three conditions are met, it means the responsible party is liable. They can be sued for damages as a result. If you or a loved one has slipped and fallen due to the negligence of another party, while holiday shopping or at any other time, please contact our law firm to discuss your case. 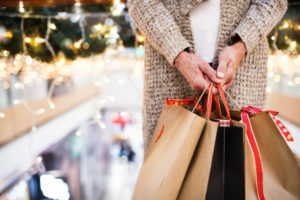 The NY & NJ slip and fall lawyers at Kantrowitz, Goldhamer & Graifman have years of experience successfully representing clients who fell and were injured at a store or shopping mall. Call us at (800) 711-5258 or fill out the form on our website. We will be happy to meet you at our Rockland County, NY or Bergen County, NJ offices. The consultation is complimentary, and there is never any obligation. Bush, Joe. “Safety in store: From the back room to the parking lot, retail workers face many hazards on the job.” Safety + Health. February 28, 2018. https://www.safetyandhealthmagazine.com/articles/16667-safety-hazards-retail-workers. U.S. Centers for Disease Control and Prevention. Important Facts About Falls. https://www.cdc.gov/homeandrecreationalsafety/falls/adultfalls.html. Driving while impaired by alcohol causes far too many injuries and deaths on the nation’s highways every year. A person is killed by a driver who is impaired by alcohol roughly every 50 minutes of every day, all year around, according to the U.S. Centers for Disease Control and Prevention. That’s 29 people per day – nearly all entirely preventable. But the dangers of drinking and driving is a frequently reiterated message. Yet it still continues to happen. What excuses do people give for driving drunk? The Traffic Injury Research Foundation (TIRF) polled people whose blood alcohol content (BAC) registered 0.8% or more, which is the legal point at which people can be charged with a driving under the influence (DUI) arrest in most states, to find out, and this is what they found. 1. They think they are okay to drive. Nearly half the people surveyed believed they were okay to drive. Presumably, this meant they did not feel inebriated and felt their judgment and reflexes were not impaired. Remember, people who drink often don’t feel that they are as impaired as they are. Their own judgment and feelings can be affected by the alcohol and the circumstances surrounding it, should not be relied on. 2. They didn’t have far to drive. Roughly 12% drove while drunk because they didn’t have far to drive. Remember, many accidents occur within just a few miles of a driver’s home. Not having far to drive does nothing to diminish the possibility and severity of accidents. 3. They felt they could make it home if they were careful. Approximately 10% of respondents felt they could make it home if they drove carefully. But carefully, of course, is relative. Drivers whose BAC is over the legal limit may feel they are driving very carefully. In fact, they could be weaving down the road. It’s also true that many people feel social pressure to drink – and perhaps drink to excess – at certain times of the year. At this time of year, when social events are frequent and often include alcohol, it’s important to reiterate this message: drivers should not drink to excess, at parties or any other time. If you or a loved one has been injured or killed in a car accident because the other driver had had too much to drink, please contact our law firm to discuss your case. Kantrowitz, Goldhamer & Graifman have years of experience litigating vehicle accidents. Call us today to speak with a car accident lawyer in Bergen County or Rockland County. The consultation is free, and there is never any obligation. NHTSA. Traffic Tech. 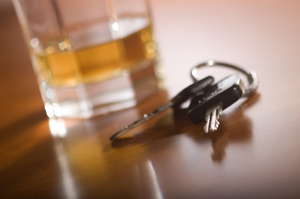 Why People Drink and Drive: Study Looks At Decisions That Lead to Impaired Driving. Number 91, April 1995. https://one.nhtsa.gov/people/outreach/traftech/1995/TT094.htm. Survey: People Have Reasons for Drunk Driving. Dumb Ones. LifeSaver. January 4, 2018. https://www.lifesafer.com/blog/people-have-reasons-for-drunk-driving/. U.S. Centers for Disease Control and Prevention. Motor Vehicle Safety. Impaired Safety. https://www.cdc.gov/motorvehiclesafety/impaired_driving/index.html.